All of us at Windermere are very excited to kick off our third season as the Official Real Estate Company of the Seattle Seahawks! 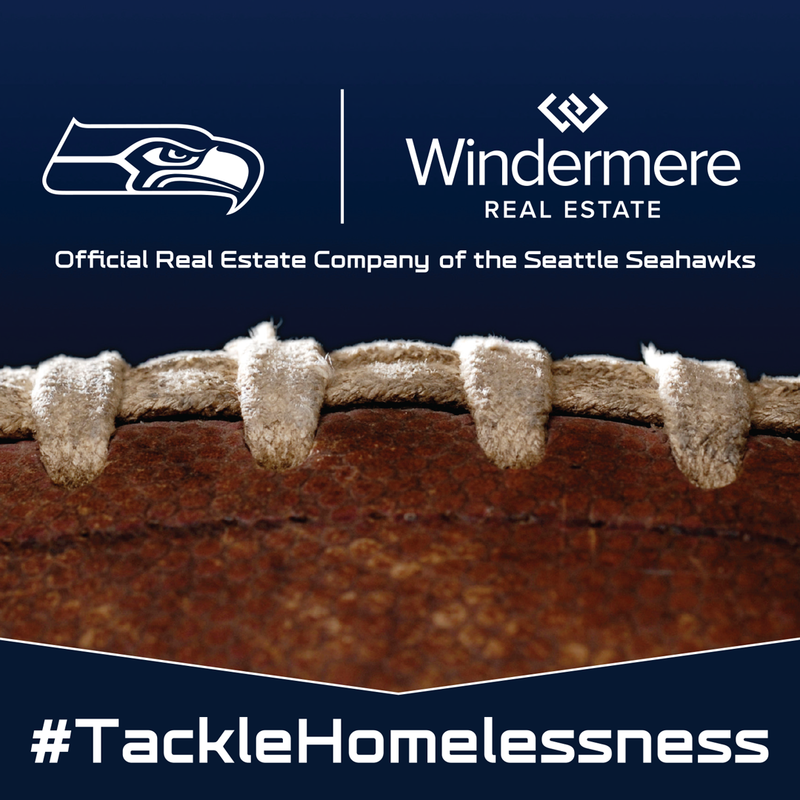 Once again, our #tacklehomelessness campaign is front-and-center, with the Windermere Foundation donating $100 for every Seahawks home-game tackle during the 2018 season to YouthCare, a Seattle-based non-profit organization that has been providing services and support to homeless youth for more than 40 years. Over the last two years, the Seahawks helped us raise over $66,000 through our #tacklehomelessness campaign, and this year we are looking forward to raising even more money – and awareness – for this important cause.